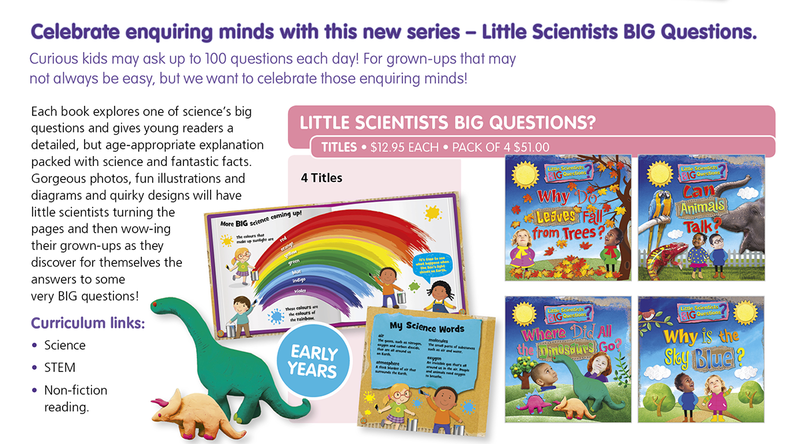 Celebrate enquiring minds with this new series – Little Scientists BIG Questions. 856025 Why do Leaves fall from Trees? 856024 Where Did All the Dinosaurs Go? 856023 Why is the Sky Blue?